A laser workgroup device like the HP Color LaserJet 3700 printer is designed to tackle any project at your midsize office. It’s got a print speed of 16 pages per minute and an image resolution of 600 dpi, making this model an excellent choice for moderate print volumes. The 350-sheet paper tray can be expanded to accommodate up to 850 sheets, so higher-volume projects are never a problem. 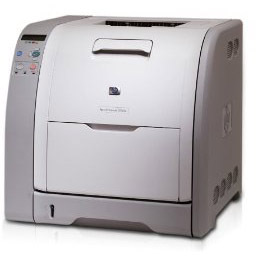 No matter what type of project you’re working on, you need dependable HP LaserJet 3700 toner. Many small businesses can’t afford original equipment manufacturer (OEM) products, but thanks to 1ink.com you can get professional quality at a discount toner price! Remanufactured toner cartridges from 1ink.com are guaranteed to meet your needs. Our remanufactured HP 308A toner produces rich black text and monochrome images while our remanufactured HP 311A toner cartridges print in vibrant color tones that will dazzle the senses. Each cartridge prints up to 6,000 pages, giving you the page yield and print quality of an OEM cartridge for over 45% less than the OEM cost! 1ink.com always delivers high-quality toner at the best price.